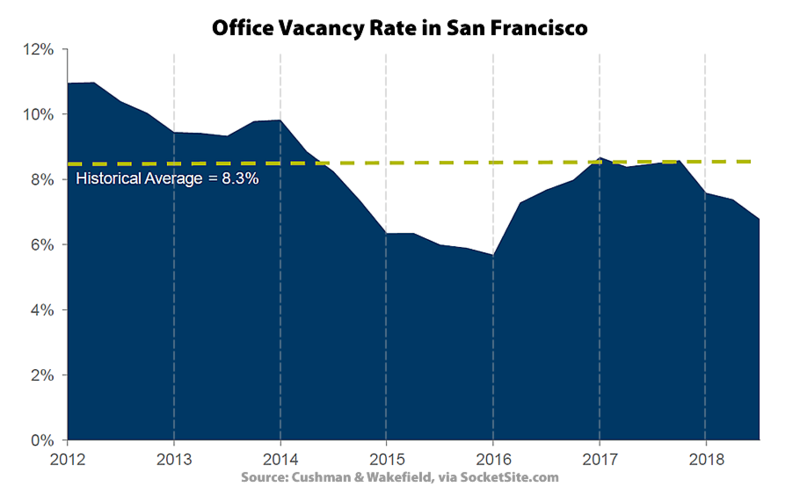 Driven in part by the delivery of a record 3.7 million square feet of shiny new office space over the past year, all of which was delivered pre-leased, the average asking rent for office space in San Francisco ticked up 1.1 percent in the fourth quarter of 2018 to an all-time high of $75.57 per square foot per year, which is 6.4 percent above its mark at the same time last year. Does this include retail space? 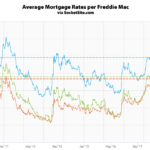 I’ve wondering what has been happening to rents for restaurants etc. especially with so many empty store front, stories of permitting help, and rent increases forcing restaurants to close. Would be nice to see some downward movement with so much available and more coming online. As implied by the author’s statement that an increase in price was “Driven in part by the delivery…” SF is immune to normal market forces you wasted your time on in school (where increasing supply leads – usually – to lower prices..also the mantra of the “Build it Now! !”/Housing ‘Crisis’ crowd) That’s why it’s a magical city !! Either that or new buildings, with newer amenities, finishes and tech tailored floor plans/plates, tend to command higher average rents. Oh that’s possible – albeit no fun – but of course wouldn’t that be the dreaded “not apples to apples”? Farm Fresh vs. tomorrow’s vinegar. This is really interesting, because way back two years ago you were explaining how just building new offices wouldn’t create any demand. And this is demand, right? Transacted leases? Isn’t that the same way you say transacted sales in the home market represent demand? Betcha cup of coffee this comment doesn’t get posted. 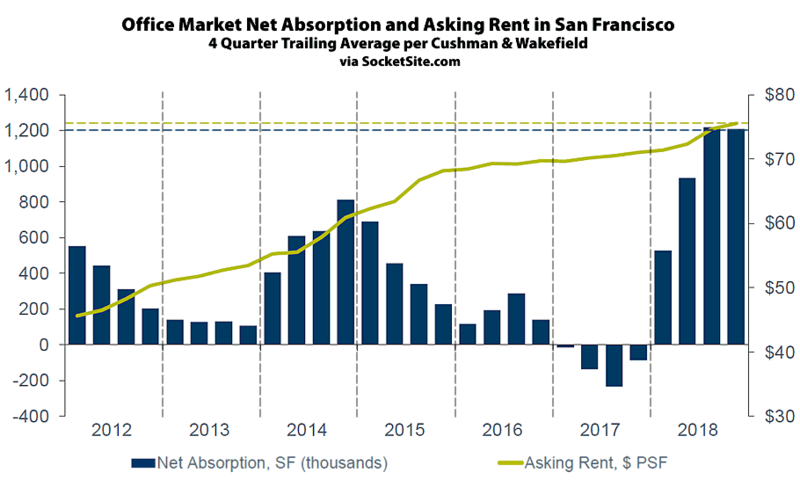 “…new buildings, with newer amenities, finishes and tech tailored floor plans/plates, tend to command higher average rents.” Is this bit important? False logic. 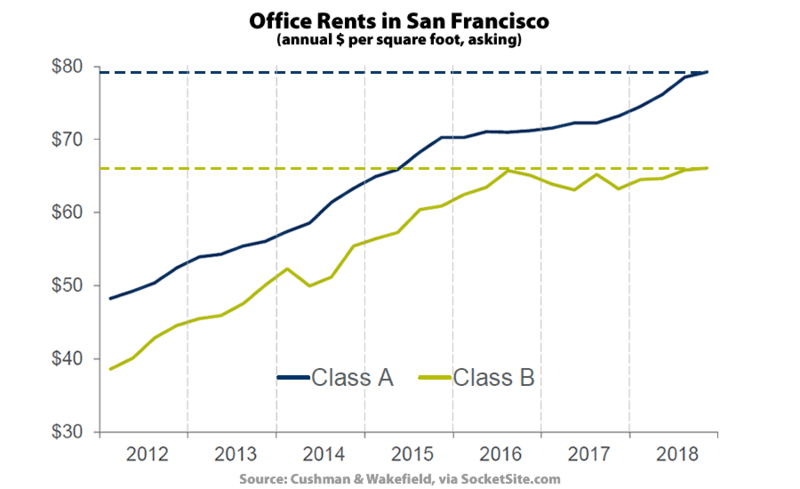 The fact that there is demand doesn’t (not even a little bit) mean that the demand was created by the building of more office space. In fact, much of the demand was already there (that’s why the product gets built in the first place) and the rest of it developed for other reasons. Demand for office space doesn’t increase simply because you build it. But building it helps satiate some of the pent-up demand. It’s interesting that Google leased at One Maritime Plaza…for a long time that building has been the domain of some of the most high-end funds, legal firms, etc. So now SF is officially billionaires vs. billionaires. We’re the new Hong Kong. I wonder if Google leased the space 24 Hour Fitness was forced to vacate (their lease was not renewed)?